Looking for some inspiration on home conservatories? You’ve come to the right place. 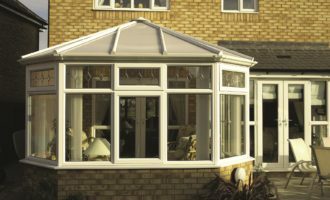 A home conservatory is a safe, secure and stylish way to connect with the outside world. These are rooms that add pleasure to any lifestyle allowing you to make the most of your surroundings. Enjoy leisurely breakfasts and see the morning sun or close the blinds and entertain friends in the evening. The possibilities are endless. No matter the size or style of your home, there’s a conservatory to suit. 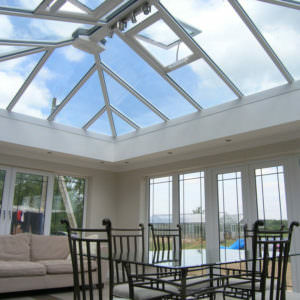 Our modern conservatory solutions from The Home Design Group offer style, durability and security. Therefore, adding a superior PVCu conservatory from the extensive range we have to offer is the perfect way to create a completely new living space. We design everything specifically around your lifestyle needs. Choosing a conservatory from The Home Design Group will really transform both the look of your house but also more importantly, life within your home. Firstly, you get the added space and benefit a HDG conservatory offers; a contemporary living space and a spacious home. Importantly, this home update will also increase the overall value of your property. Why? Because you have added an extra room! All of our conservatories are of the highest quality, made to order just for you. Make the most of your home by adding an informal family space perfect for chilling out. Choose to give your family a fun playroom or games room. Every home can benefit from a stylish family dining room that lets in the light and connects the outdoors to everyday life. Discover more about our conservatories here and don’t forget to check out our Facebook for more home inspiration. Book your appointment today for a free consultation.